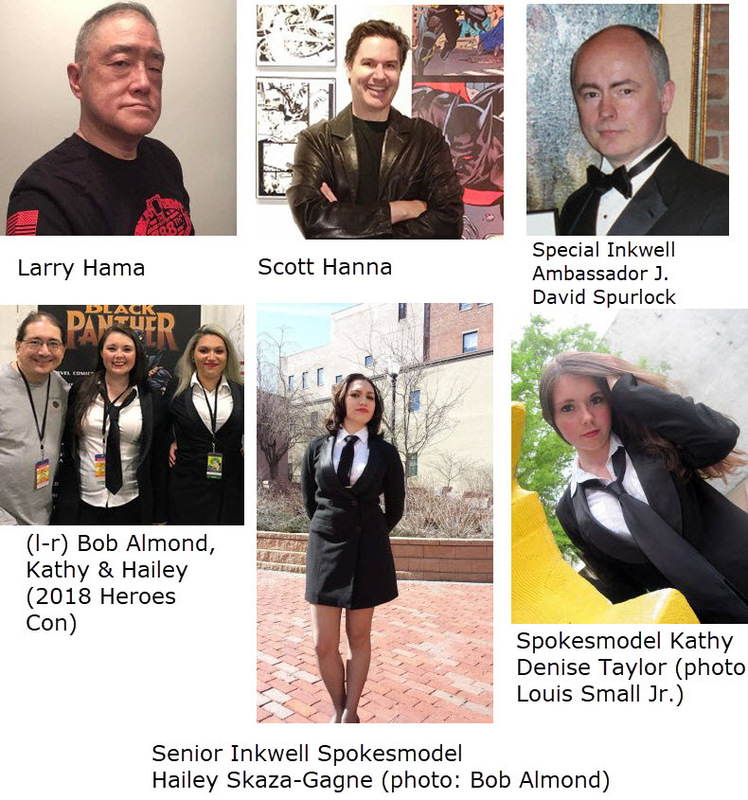 Industry luminaries and professionals will present the voting results from the annual Inkwell Awards at the inking advocacy group’s live awards ceremony during their new host show, the Great Philadelphia Comic Con!, in Oaks, PA. The event is scheduled for Friday, April 12 from 5:00-7:00pm at the The Greater Philadelphia Expo Center in room 1. The convention runs from April 12-14. In addition to Almond and Hanna, the convention’s Panel Coordinator and traditional host, J.M. Clark, will act as presenter. Both he and Almond will present the Inkwells’ lifetime achievement awards, the Joe Sinnott Hall of Fame Award and the Stacey Aragon Special Recognition Award. Writer, artist and former editor Larry Hama will introduce one HoF recipient, and award-winning author, publisher and advocate J. David Spurlock will introduce the other. At the ceremony, Almond will also name recipients of the Inkwells’ “Above & Beyond” Award for members, volunteers and others in the comics community who have served beyond the call of duty to educate the public and promote the artform of comic-book inking and its ink artists. The Inkwell Awards is the only official 501(c)(3) non-profit organization whose mission is to promote and educate regarding the art form of comic-book inking, as well as annually recognize the best ink artists and their work. Established in 2008, the Inkwells are overseen by a volunteer committee of industry professionals and assisted by various professional ambassadors and contributors. They sponsor the Dave Simons Inkwell Memorial Scholarship Fund for the Kubert School and host the Joe Sinnott Hall of Fame Award.